Each kit includes gussets, door bar spacers & roof hoop gussets if necessary. Every cage is custom built to the body style you specify. .All of our cages come with our full instruction booklet, written in plain English, so you don't waste any time. 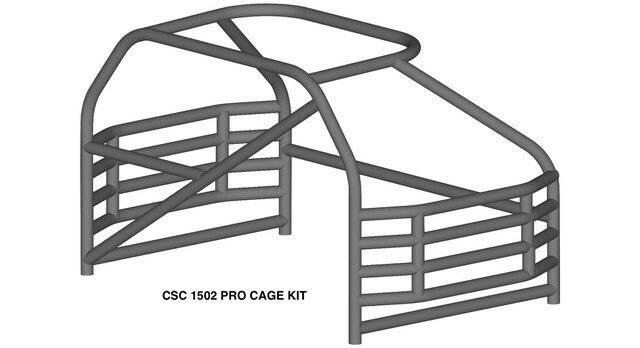 Our cages are made of 1 3/4" x 0.095 wall ERW tubing. You may request 1 1/2" x 0.095 wall ERW tubing at an additional charge. This kit takes 5-10 business days in production from date of order.